… See, I Didn’t Go Nuclear!!! The Trump ally turned enemy was on “Meet the Press” Sunday, and played the tape. She says it proves stories that she had to be dragged out of The White House during that XMAS party in December, 2017 were false. 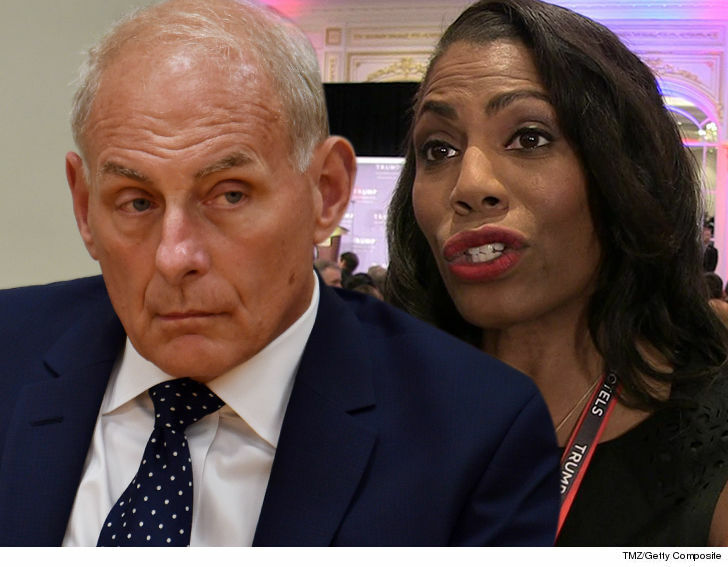 You hear Kelly tell Omarosa the firing can be done one of 2 ways … the easy way or the hard way. He says if she chooses the later it will create difficulty with respect to her reputation. Kelly also says he’s firing her because of “serious integrity violations.” He actually says more … that the violation involves “money issues” and “legal issues” that could make it ugly for her. He says she’d be subject to legal action, but that wouldn’t be necessary if she quietly exits. BTW … the audio does reveal how she exited.